Vanderbilt Financial Group is an Independent Broker Dealer doing business differently than anyone else in our field. We are constantly learning and applying new ways of doing things- whether it’s learning a new program that improves our business, infusing gamefication into our workplace, or becoming a sustainable and green firm, we are passionate about being a modern pioneer and different kind of broker dealer. We are a unified team driven by shared values of; gratitude, respect, innovation, teamwork, and trust. 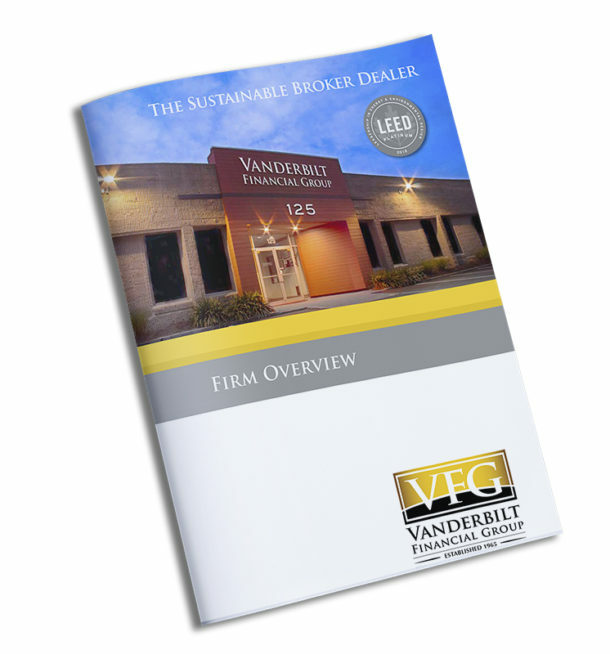 At Vanderbilt we are focused on finding ways of bettering ourselves and those around us while always applying our values to our clients, our community, and our environment. We offer a wide menu of term, whole life, universal life insurance products. Learn More! We have over 80 years of collective equity trading and execution experience. Learn More! We offer a full menu of Annuity Carriers available to our Financial Advisors. Learn More! A collaborative atmosphere ensures that teamwork is a core value at Vanderbilt. Learn More! We are focused on helping our financial advisors develop their businesses. We have a full team of dedicated staff committed to doing good and compliant business. We are a very progressive, innovative and values driven firm with a strong entrepreneurial spirit. Vanderbilt Financial Group was established in 1965 and is located in Woodbury, New York. Vanderbilt Financial Group is an independent Broker Dealer that offers innovative solutions to help its independent financial advisor professionals and their valued clients reach new levels of success. Our goal is to help our advisors succeed and to establish a long term and positive partnership.